First, an apology for all my lovely tea-sippers. Unfortunately (or fortunately, however you think of it), I was so swamped last week. One of my good friends from college slept over, then we took my other good friend out for her birthday all day Saturday, and Sunday was dedicated to more friends 🙂 In other words, no post last week. However, I have two exciting fun news items for all of you in the New Jersey area! 1 – I am doing ANOTHER Tea Love talk! This one will be in Riverdale, New Jersey at the Riverdale Public Library. Make sure you call and RSVP! Seating is limited. Attend, hear an awesome talk, get some tasty tea samples from The Tea Spot in Cranford, New Jersey and even enter to win a basket of tea goodies from The Tea Spot! Not only that, but I’ll let you in on a little secret – that’s my birthday 🙂 Give me an awesome birthday gift and attend the talk! So, what’s the deal with Miss Tea? Miss Tea is a Brooklyn-based business that specializes in organic teas and herbs. Why invest in organic teas? Because they tend to be healthier for you, since they do not use pesticides and herbicides, and are healthier for the environment. What could be better than that? One of the nicest things about the Miss Tea products? You can see every part of the tea, which is intentional. I just bought my friend who stayed with me last weekend a jar of the FemininiTea, which is a blend of red raspberry, peppermint, and nettle leaves, oatstraw, ginger root, dandelion leaves, rose petals, chamomile flowers, horsetail, and stevia leaves. Even in the picture on the website, you can see the separate leaves and petals! As I tell my guests at all my Tea Love talks, the more that you can identify in your tea, the better. That means less tea fannings and less scary unknowns. It is also an affordable tea. Tea itself is already expensive at times if you are looking at high quality. Throw in the fact that the tea is organic and you could potentially pay that much more. However, you can get a substantial amount of tea from this purveyor for a decent price. And the taste? Well, I obviously would not be writing about it to you if it weren’t incredible! Full flavored, just the right amount of sweetness, lovely color – I couldn’t ask for more. This is definitely a tea I would recommend buying again and again. 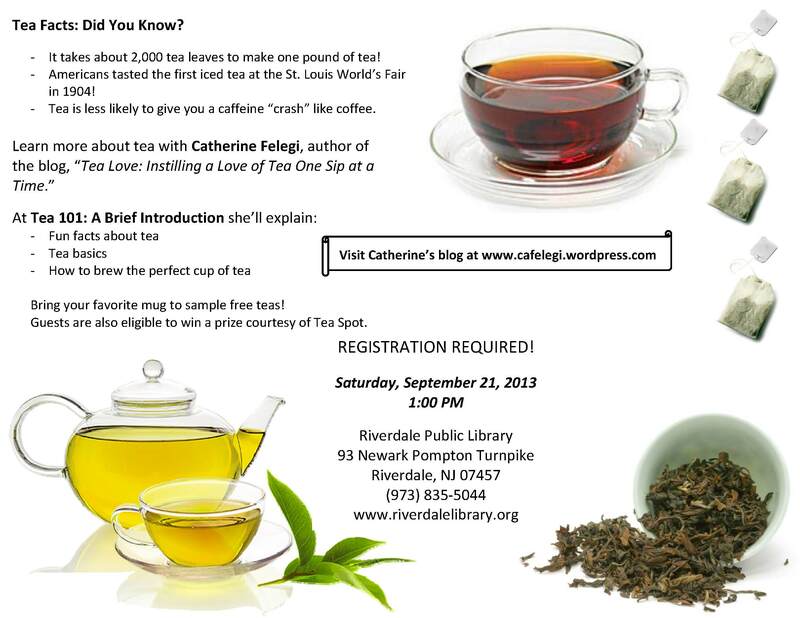 So, in ending, remember to a) RSVP to my Tea Love talk on September 21st and b) buy some amazing Miss Tea from Artemisia!